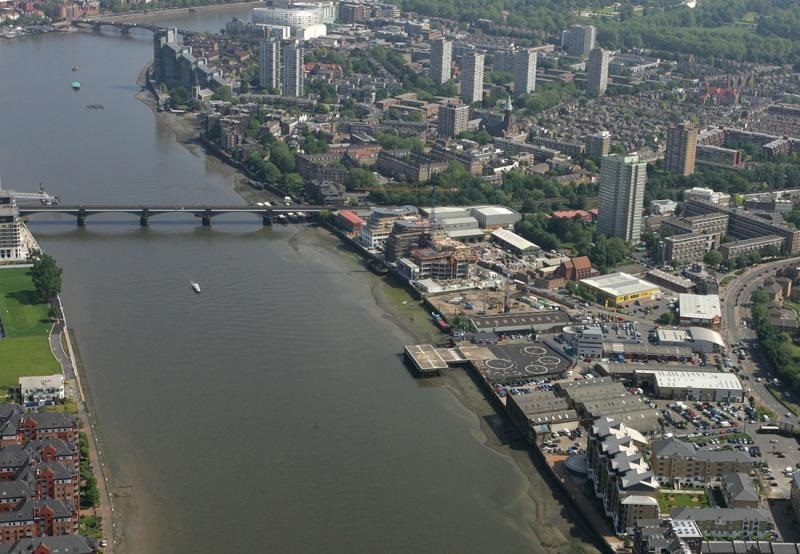 We’re constantly flying charters in an out of London and the main landing place is Barclay’s Heliport in Battersea. This guest blog, by Heliport Manager Simon Hutchins, gives you an insight into the present day operation and its place in aviation history. 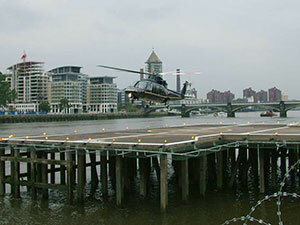 The Barclays London Heliport alongside the River Thames at Battersea is the only Civil Aviation Authority licensed heliport in London. Officially opened on St George’s Day, April 23rd 1959 it was built by Westland Aircraft as a venture to prove the need for a heliport to serve the capital city based primarily on business use and at the same time showcase the helicopters being built at their factory in Yeovil, Somerset. Licensing means the facility has always operated to strict CAA standards with a full air traffic control and fire & rescue service provision plus re-fuelling and parking. More than just a landing site it is purpose-built with a large concrete platform for take-offs and landings. For passenger comfort there is a dedicated terminal and lounge. A central location close to the heart of the city makes Barclays London Heliport attractive to people with businesses in the capital or staying in hotels or residences in West End areas such as Mayfair, Belgravia or Kensington. It has a strategic importance to national government, the military and the emergency services for rapid access to and from London, particularly in times of emergency or when the capital is a venue for national civic, ceremonial or celebratory events and has played its part in supporting and planning and helicopter operations during key events and incidents over the years. The Barclays London Heliport is also an important concessional landing site for London’s Air Ambulance Service, national regional air ambulances and the newly-founded Children’s Air Ambulance Service for the transfer critical patients and accompanying medical teams to and from specialist and trauma-care hospitals. The point-to-point, traffic-avoiding exclusivity of a helicopter has also made Barclays London Heliport attractive to people who may be travelling to exclusive or less accessible locations and venues nationwide as well as some of the major outdoor sporting, cultural and business events such as the British Formula One Motor Racing Grand Prix, Horse Racing at Royal Ascot, Cheltenham and Goodwood, the Glastonbury Music Festival and Farnborough Air Show which run through the social and business calendar from Spring to late Summer. The combination of licensing, facilities and customer base has meant that excellent safety standards, service provision, security and discretion have always been an integral part of Barclays London Heliport operation and which you would expect to find at any world-class business aviation facility. The exclusivity, privacy, rapid transfer and delay-avoiding benefits of business aviation travel using both fixed-wing aircraft (of all sizes) combined with helicopter travel to and from airport hubs has seen an international growth in the industry. Up to 15% of flights using Barclays London Heliport are made by high net-worth individuals connecting with business jet flights or other executive fixed wing aircraft at one of the major airports and airfields providing business aviation fixed base operation services in the London area and beyond. A major redevelopment of the heliport facility completed in 2010 included the building of a modern air-conditioned passenger terminal with comfortable sound-proofed private lounge facilities alongside an exclusive riverside hotel with restaurant, bar, spa, event and meeting room space. Whilst the majority of London Heliport flights have been for business use, since 2013 London sightseeing flights operated by "The London Helicopter" have been available from their dedicated airside-facing facilities adjacent to but separate from the main passenger terminal. For £199 per person they offer or a 20 minute scenic flight along the route of the River Thames anyone can taking in a panoramic view of the London skyline that only a helicopter, with a near-guaranteed window seat, can provide. These flights are attractive not only to tourists visiting London but also to people who may feel that they already know the city well but would like to see it from a new perspective. Such flight experiences are proving popular as gifts or work incentive prizes. Dedicated charter brokerage services offering tailored helicopter flight packages are also available to book through the heliport. Chauffeur car services supplied by our appointed provider can be added to make this a complete door-to-door service. Given its riverside location the Barclays London Heliport is readily accessible by river taxi via local quays such as Chelsea Harbour. River access in the local area is set to improve through planned development of new quays and use of the Thames as an artery of communication through the city expands in the near future. The panorama and light from the expanse of the riverside environment combined with the modern urban backdrop of the riverside apartment buildings which now dominate the local riverfront make the combination of helicopter travel and location a major attraction for filming opportunities. We have the experience and expertise to work within the heliport operational environment to provide safe, effective facilitation to film crews and help them achieve successful desired outcomes on time and on budget. 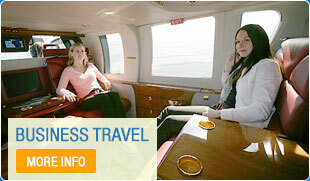 If you would like to book a charter with Atlas Helicopters call 0333 355 9468 or book your flight here.